Our approach to raising livestock, and farming in general, stems from our combined backgrounds in natural resource and environmental management. We look at our ranch as an all-inclusive system, where the soil, water, vegetation, wildlife, and livestock are all equally as important, and all play a role in the health of the entire system. Our ranch lies at the foot of Mount Shasta, just outside the small town of Weed. Literally on the "edge of the wood", the village of Edgewood is at the mouth of the Shasta Valley, home to cattle ranches, hay fields, and rolling sagebrush covered hills. The Shasta River, and Boles Creek both run through the ranch before meeting together and flowing north, into Lake Shastina, and then north still where the Shasta River meets the Klamath River, before turning West, and out into the Pacific Ocean. Rotational grazing - We graze all our animals in a rotational system, meaning we give our livestock access to fresh pasture and forage as much as possible, while leaving adequate time between grazing periods for rest and recovery of the soil and vegetation. Climate Beneficial Ranching - Part of being a sustainable ranch is reducing our reliance on the use of fossil fuels. We do not use herbicides, chemical fertilizers, or pesticides on our ranch. We never use routine antibiotics for our animals, and only treat animals that are in need of medical assistance. 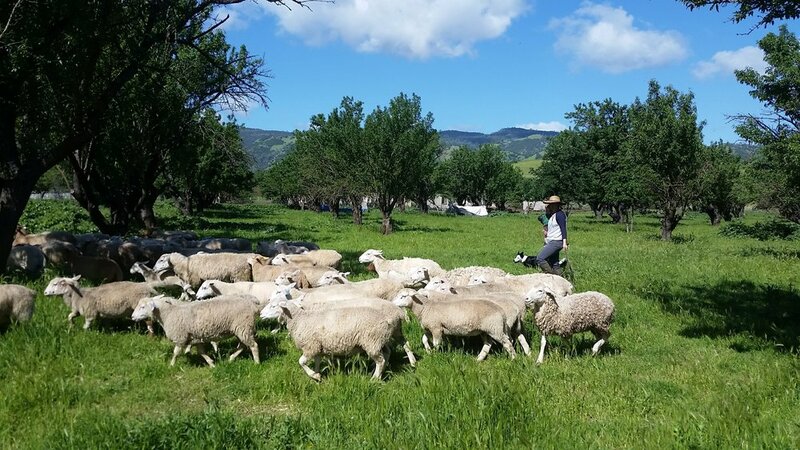 We are actively focusing on sequestering carbon on our ranch and are participating in a grant program which will help us re-vegetate parts of the ranch specifically to help offset carbon emissions. Although logistics and delivering our products is a necessary part of our ranching business, we are considerate in maximizing our vehicle efficiency. Future projects will include on-ranch power generation and developing a ranch-wide carbon plan. 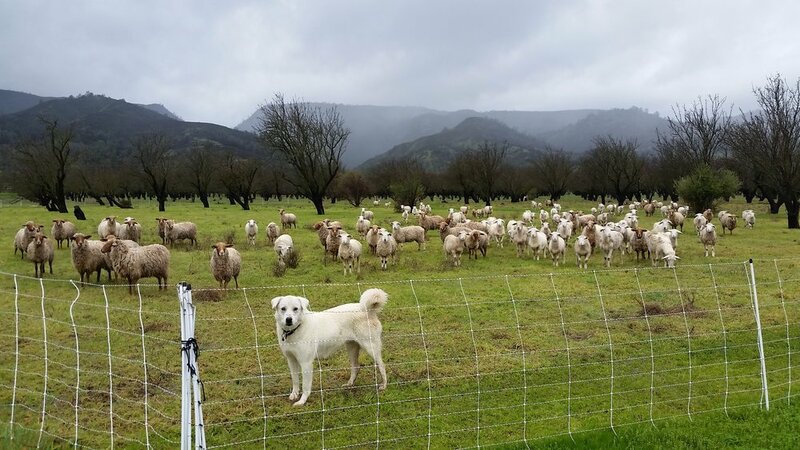 Wildlife Friendly - We rely on Livestock Guardian animals, electric fencing, and our own vigilance in protecting our livestock from potential predators. We live in a rural, and wild part of the country, home to bears, mountain lions, coyotes, and all manner of smaller, potential predator critters. They are part of our system and provide valuable ecosystem services, it is therefore our responsibility to live along side them without conflict as much as possible. We are also in the process of restoring areas of our ranch for wildlife habitat by removing invasive species, replacing them with more beneficial native species and by providing nesting structures for a variety of birds and bats. Humane Animal Husbandry - As mentioned above, we only treat animals that are sick or injured. We also provide shelter for our animals that allows them free access to the outdoors but enough protection from predators and the elements.